Welcome to the Dogs Monthly Book Club. Each month we review our pick of the latest releases, with an opportunity to win for lucky readers! If you would like to enter the prize draw, please email competition@dogsmonthly.co.uk with the name of the book you would like to receive in the subject line. Please remember to include your name and full address. Entries close 2 May 2019. Carol doesn’t just stop at the basics of understanding the Border Collie but delves deeper through her ever-growing list of beautifully presented publications. 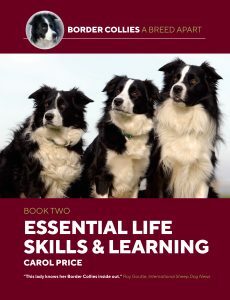 Essential Life Skills and Learning is the second in a trilogy titled Border Collies: A Breed Apart and Carol says that her main aim in this book is to demystify the whole process of training dogs. To this end, she has been 100 per cent successful in my opinion. Divided into 11 chapters, beginning with ‘Young Minds’, which explains how young dogs learn, we are taken on a journey through education, earliest training, focus, house manners and life skills, plus some useful exercises, such as the down, wait, stay and recall among others. It matters little what discipline your dog is to be introduced to as he matures, but preparing him to be socially acceptable and physically capable is essential. I was particularly interested in the ‘under-training’ and ‘over-training’ advice, which is paramount in whatever activity your Border Collie is to take part in. As a trainer of sheepdogs and formerly dogs for obedience competition, it can be the foundation or ruination of those disciplines. Authors like Carol Price with her experience and knowledge of the Border Collie’s mind are not commonplace and Essential Life Skills and Learning, once read, is a testament to that fact. Yet another ‘must buy’ for your bookshelf or a precious gift. I wouldn’t usually be all that interested in reading a poetry book, but this particular one stands out from the crowd, as all proceeds from its sale go to the Last Chance Hotel Animal Rescue in Cornwall. 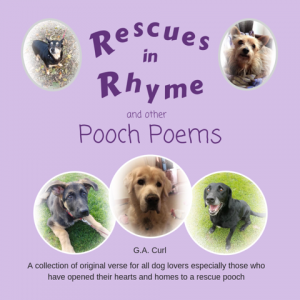 The author is a volunteer for this rescue and was inspired to write the book from her own personal experiences of the dogs in care, waiting for their forever homes. Real Tails is about the dogs (and David the cat!) who have all been a part of the Last Chance story. It’s a Dog’s Life is about rescue dogs in general, and this chapter covers everything from separation anxiety and food theft to postmen and sleep – vitally important for our canine companions! Rescue Me is all about the world of rescue. It covers the important subjects of trust, transporters and all the wonderful volunteers. It also covers broken promises that have been made to these dogs and the reasons they have ended up in rescue. This is by far my favourite chapter, as it is the most thought-provoking and emotive. In my opinion, the poem entitled ‘Free to a Good Home’ should be posted all over social media as a wakeup call to people out there who are willing to give up their dog with no thought of the potential consequences of not checking where their dog could end up. It is a very powerful poem. I would highly recommend this wonderful little book, which would make a lovely thoughtful gift for any dog lover. When I first picked up this book, I expected it to be a story about Elena’s life with her beloved dog Brio, and the journey of their lives together. While that is part of the book, the main focus is her investigations into his spirit throughout his life and after his passing. Initially, I was a little put off at the mention of animal psychics and communicators, but Elena explains that she also started off from quite a sceptic viewpoint herself. She talks about how she expected a master-companion relationship, but what developed surprised her and being a ‘factdriven investigative journalist’ led her to step outside of her comfort zone and explore the possibilities of animals having their own personalities and souls. Whatever your spiritual beliefs, no one can deny the powerful bond that we form with our dogs. They do seem to have a kind of sixth sense – some dogs can sense danger or predict illness in humans, perhaps with the exception of my Ziggy! He’s a Cocker Spaniel and he’s always getting himself into trouble, trying to eat things he shouldn’t! In his defence, though, he knows instinctively what to do when I’m upset, or if I’ve had a bad day, and is always ready to give me a cuddle or bring me a toy to instigate a game. I’m sure everyone with a dog has a similar story to tell. 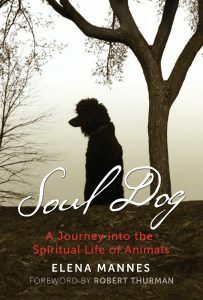 Soul Dog is a fascinating read for all those who think deeply about the bond between them and their dog. 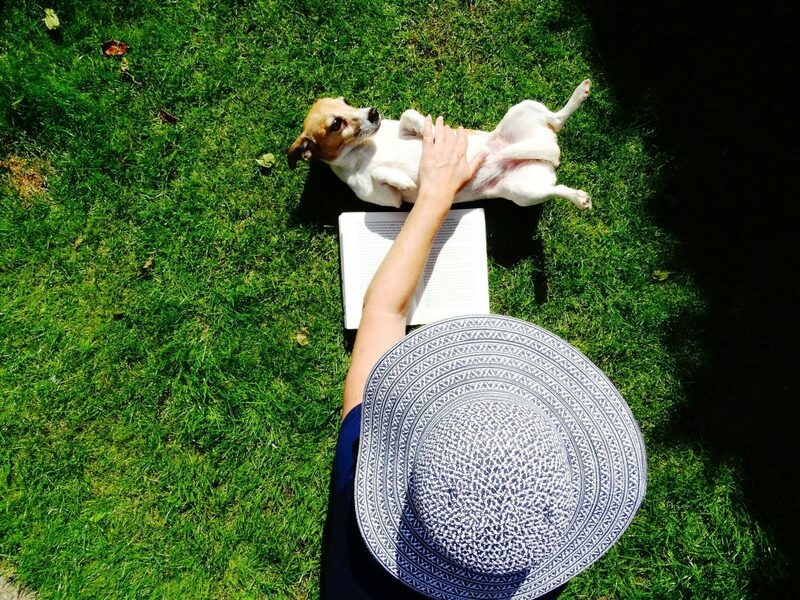 Freelance writer Helen Edwards has based this short read on her own experiences raising Archie, her dog now aged three, from an eight-week-old pup. 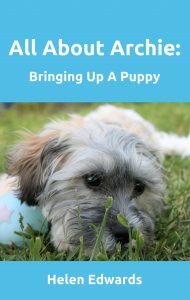 This is a nice, easy read that gives you invaluable information about raising a puppy. I like the way it is neatly divided up, so you can dip in and out quite easily and find the information that you need. It is very concise and very well laid out, with useful hints and tips. This book certainly highlights both the highs and lows of welcoming a puppy into the family. It would be a great book to be included in puppy packs from breeders, or in adoption packs from rescues. The author hasn’t really mentioned rescue, which is a shame, as the advice applies to all dogs, not just those brought from a breeder. I absolutely loved Archie’s excerpts at the end of the book. They made it feel so much more personal and humorous than just another training guide.